Some German bloke. And I bet he's lovely. I'm going to word today's post very carefully. And let me start by stating that I love loanwords in English, and I love the German language (it's on my list of languages to learn before I die). That being said, however, I must admit that, were I searching for a synonym of empathy, German wouldn't be the first language I'd reach for. And neither would einfühlung. It just wouldn't. I'm sorry. I'm clearly racist. 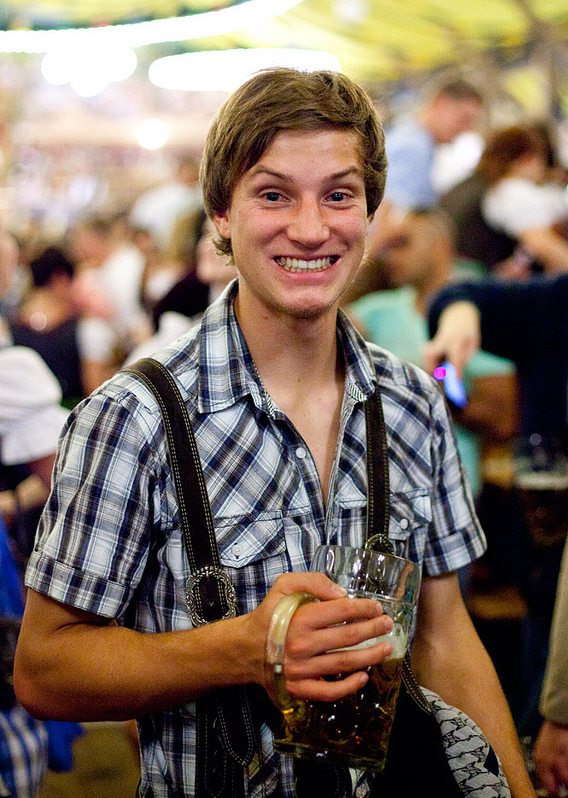 Ah, the Oktoberfest! Something else that's on my rather extensive bucket list. Do please cause all sorts of Sturm und Drang in the comment box below. That's me, being ein with your Fühlungs. As long as you don't schaden my freude. Empathy is just an egoist's attempt at sympathy, anyway.